Before we get to this Review & Outlook, below are some Bullion Market-Related News articles that were taken from this guide's home page, over the last week. Gold (XAU/USD) Price Analysis - Review and Outlook, it covers from March 11th thru March 23rd, 2019. 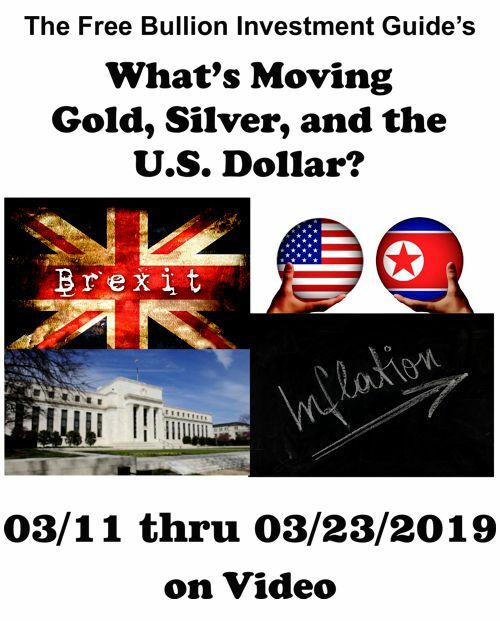 Silver (XAG/USD) Price Analysis - Review and Outlook, it covers from March 11th thru March 23rd, 2019. U.S. Dollar (DXY) Price Analysis - Review and Outlook, it covers from March 11th thru March 23rd, 2019.